This is an issue for motorcyclists and pedestrians as well. Citibike is getting some pressure to expand to low-income neighborhoods. However, Motivate, the company that operates Citibike, can’t do that sort of expansion without some public funding, and the transportation commissioner seems to agree. I think this could be money well spent. There are a couple success stories in the article linked above. For example, the woman that rides Citibike so often, each trip is about 9¢! That’s almost cheaper than walking. GPS navigation usually means turn-by-turn directions. Great! But, what if you want to have more control over your route–in real time? 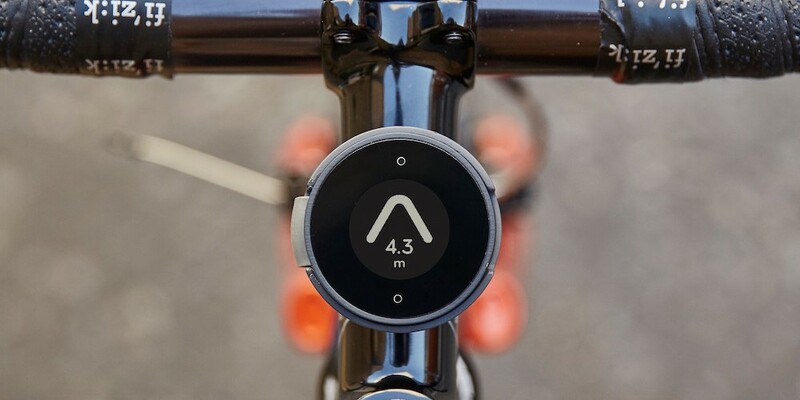 The basic idea: After entering a destination on your smartphone, BeeLine’s handlebar-mounted display points you in the right direction. You can also enter additional way points in the app if you’d like to be directed along a certain route. BeeLine is currently seeking backers on Kickstarter for their first production run. 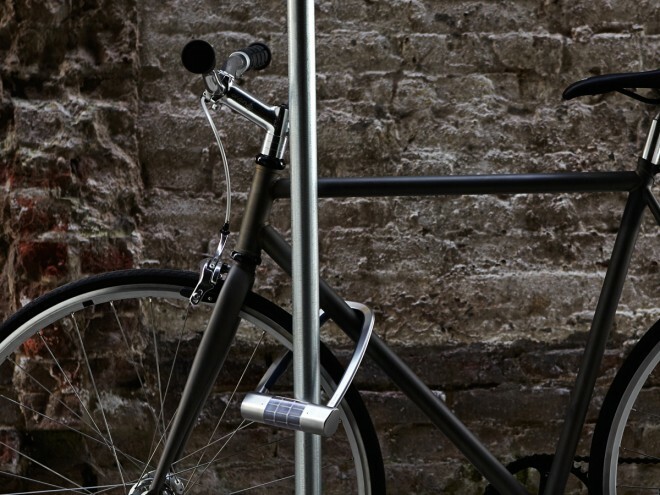 Skylock is a solar powered, keyless bike lock–and more. Since it’s a connected device, it also acts as a sensor, which can let you know when someone is messing with your rig, or tell someone else when you get doored. Pretty slick. The preorder price is $159, a little steep compared to other high-quality locks, but it certainly packs in the features.